Private Fleet dependability at backhaul pricing. In today’s competitive transportation world, quality service is a given. Carriers who cannot deliver freight safely and on time simply do not last. Shippers evaluate carriers on pricing, especially shippers moving large amounts of high-volume freight in repetitive lanes. Since 2002, Private Fleet Backhaul has provided our shippers with above-average service at below-market pricing by matching your repetitive lanes with private and dedicated fleets with similar reposition needs. Because private and dedicated fleets have consistent routes, a stable driver base, and well-maintained equipment, they consistently deliver freight on time and safely. Service levels above what the one-way for-hire fleets are able to consistently offer is the primary reason private fleets exist. Scheduled front hauls result in dependable backhauls; predictable capacity to move your freight. Beyond identifying these matches, PFBH’s stellar Operations personnel proactively manages each shipment through its full life cycle. This winning combination provides the premium service levels of a top-tier carrier at competitive backhaul pricing. Upload your high-volume lanes into our database. Identify synergies between your lanes and consistent, repetitive backhaul capacity. Develop pricing on matched lanes that adequately reduces your transportation expense. Manage communication and ensure your freight delivers safely and on time. Our network includes over 200 of the nation’s best private and dedicated carriers, including 25 of the Transport Topics Top 100 Private Fleets and over 60 members of the National Private Truck Council. Most of our carrier partners are true private fleets, though we do work with the dedicated divisions of some common carriers. Our private fleets have superior equipment and maintenance, attract higher caliber drivers, and maintain above average driver retention rates. Thus, our fleets have fewer service problems from equipment breakdown or driver error. Because we service your lanes with the same groups of drivers and equipment, we are able to support trailer pools. Each carrier is carefully evaluated for quality, consistency, and dependability. This occurs both before bringing them into our network, and also on an ongoing basis. If we find that a particular fleet is non-communicative, fails to meet its commitments, or has unattractive pricing, we stop pursuing new business with this carrier. 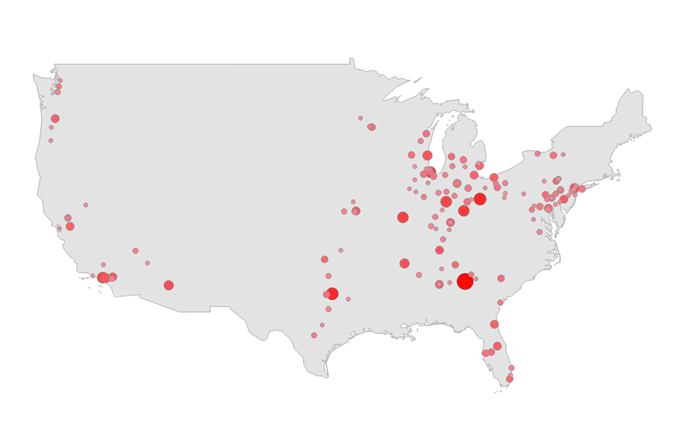 We are strongest in lanes involving the major metropolitan areas of the US. market pricing offers a strong competitive advantage. The lanes available are empty backhaul miles of private and dedicated fleets. When working with PFBH’s network of carriers, you will be filling these empty backhauls and offsetting the cost of their operation rather than generating profits for a private fleet. We capitalize on this difference to provide you private fleet dependability at backhaul pricing. We compare your lanes to our network of backhaul capacity, gather and analyze pricing options, and deliver a competitive rate, averaging 20% below market for the same lane. This pricing is stable, unlike common carriers who adjust prices with market fluctuations. Once our carriers secure consistent freight to match their backhaul needs and are content with the revenue stream, they maintain their prices. Access to repetitive and predictable backhaul capacity at below market pricing offers you a strong competitive advantage. Leveraging our unique business model reduces stress and chaos in your supply chain while also lowering your transportation costs. Our model reduces you transportation costs and time spent managing transportation. Questions about working with PFBH?